What is Transformation? A subtle and gradual metamorphosis that constitutes an immeasurable supernatural impact of the presence and power of God upon the human person. It is not a set of spiritual experiences but a radical change in consciousness. The retreat fee is $545, inclusive of accommodations and meals. $250 commuter fee. $220 deposit is required by July 20, 2018. Cancellations must be made before July 28th for return of deposit. 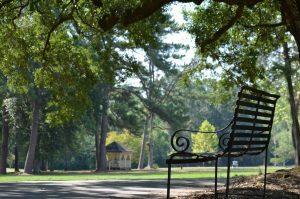 Contemplative Outreach of New Orleans is pleased to offer a very special retreat, providing an opportunity to deepen the practice Centering Prayer in an atmosphere of quiet and community support. We will explore the journey of transformation in relationship to becoming a seeker, having awakening moments, looking at the stages of prayer and faith development, encountering ‘dark nights’, growing in awareness and becoming one in God. Kess Frey has studied Eastern and Western philosophy, psychology, and religion since 1965, with special interest in meditation and depth psychology. In 1968 he graduated from the University of California, Irvine, with a degree in psychology. He met Thomas Keating in 1989 and has been involved with Centering Prayer and Contemplative Outreach ever since. Kess lives in Anchorage, Alaska (since 1983) where he offers introductory Centering Prayer Workshops, facilitates prayer groups, presents at retreats, and is active in prison ministry. Kess is the author of five books on Centering Prayer and its conceptual background, and will draw on material from these works in his presentations at our retreat. to time for presentation, periodic reflection and quiet time to explore the retreat grounds, walk, swim and rest. A “hermit” day is scheduled midway through the retreat. Opportunity for soul friending will be available. Optional Wisdom Circles will be scheduled on some evenings. This retreat is geared to participants who have an established daily Centering Prayer or other meditative practice. Beginners are welcome with the knowledge that the retreat atmosphere will be one of profound silence and community support, in order to allow participants to deepen their reservoir of interior silence and stillness. for return of deposit. Scholarships, up to 50%, are available. This retreat will begin the afternoon of Friday, August 3, 2018, with check-in from 4:00 p.m.
to 5:30 p.m. Dinner will be at 6:00 p.m., and the opening presentation will begin at 7:00. The retreat will conclude Wednesday, August 8, 2018, after breakfast. If you have any special requirements, please let us know by June 26, 2018. Contemplative Outreach of New Orleans is a chapter of Contemplative Outreach, Ltd., a worldwide organization founded and headed by Fr. Thomas Keating. Part of the mission of Contemplative Outreach, Ltd., is to bring the ancient Christian practice of contemplative prayer to the modern community. It attempts to accomplish this goal primarily through the teaching of the practice of Centering Prayer.